Hey there, kids! We're skipping the usual banter this week because today we had a monumental event happen in SLC. The official Harvey Milk Blvd. 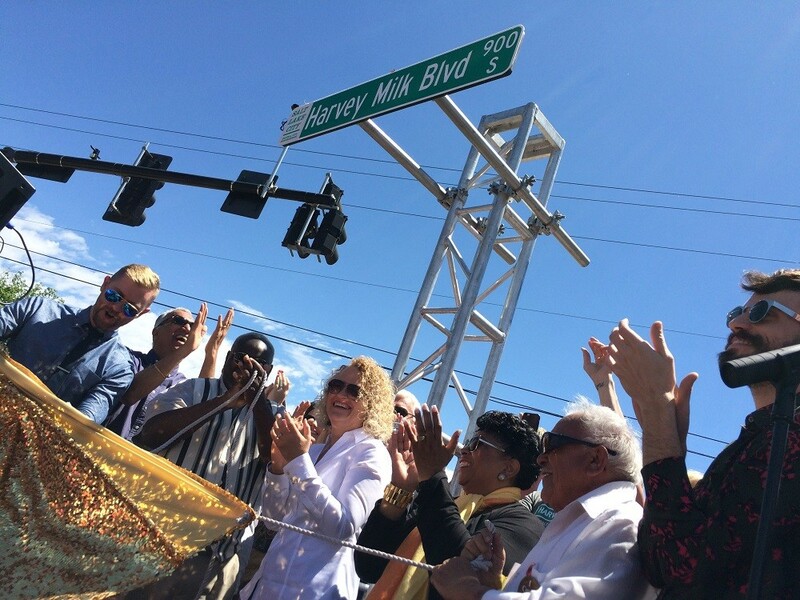 ceremony took place earlier today (Saturday, May 14) at 9th & 9th, as the city hung up signs and dedicated the street to the gay-rights pioneer. Below is a picture from the event, and more than likely I'm roaming around with people celebrating the occasion in the area. So enjoy the picture (Which you can see more of on my Facebook and Twitter feeds), and then below that, please enjoy two weeks' worth of events for you to check out and be a part of. 5/15: Urban Flea Market at 600 South Main St.